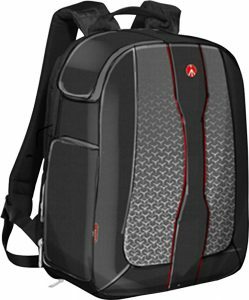 Best Buy has a Manfrotto - Camera Backpack Sale, $59.99 Free Shipping. Expires Soon - Highly rated at 4.5 out of 5 stars. Designed for camera with lenses and notebook To protect your devices on the go. Fabric construction Provides durability and style. Additional compartments Provide storage for flash, tripod and 3x lenses. Shoulder carrying straps and top carry handle Enable comfortable carrying.